With world famous, iconic architecture …the old and the new nestled side by side in seamless harmony…London, quite simply is one of the most beautiful cities on the planet and we are very fortunate to have a plethora of some of the world’s most photogenic urban landscapes, all within easy reach. Join Terry and me for a night of image making at some of the Capital’s best loved locations. Whether this is your first visit to London or you’re a seasoned local…we’ll take you to the best places from sunset to sunrise. Both Terry and I will be on hand throughout the night to help you capture those magical views and show you how to get to grips with the basics of urban night photography. We will have plenty of time at each location for you to hone your skills and gain confidence with your camera and settings. For this workshop, we pick you up from London Liverpool Street Station an hour or so before sunset. In the morning we will be able to drop you off at either LLS or Waterloo Station. 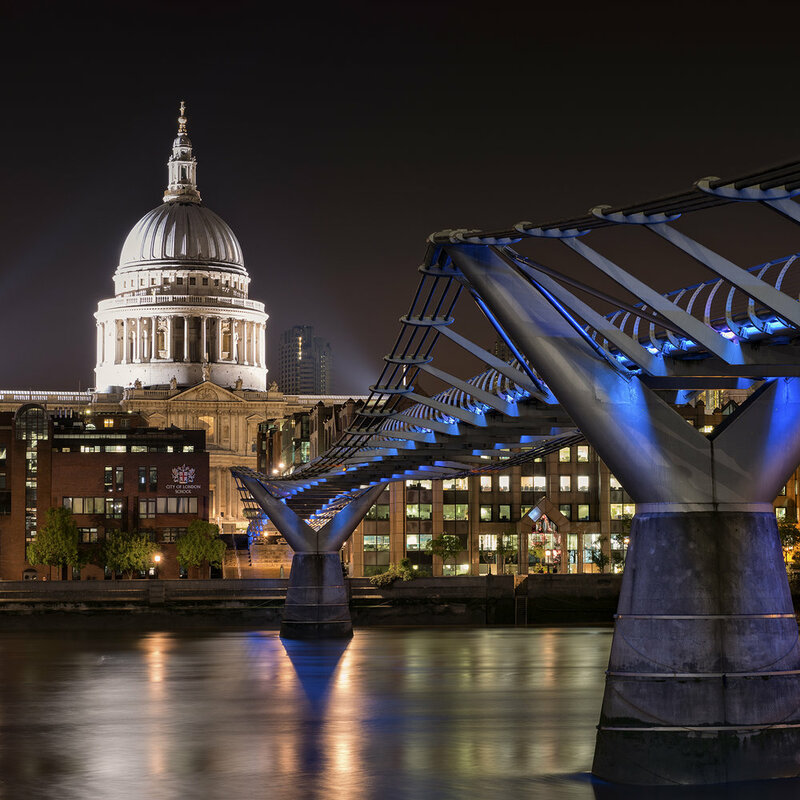 Everything is in place for an awesome night of photography; shooting the best of London’s sites including a sunset and sunrise shoot….all you have to worry about is making beautiful images! I hope you can join us. Included: Tuition from Terry Gibbins and Charlotte Gilliatt. All transport throughout the night. Fitness Level - Easy Most locations are arrived at by vehicle with minimal walking. However, we may encounter some uneven surfaces. This workshop is aimed at photographers of all abilities and levels from enthusiast beginners to established pros. Please email me using the form below if you would like to join us on this workshop, specifying which date you prefer. Places are strictly limited to 8 people on a first come basis. Payment in full on receipt of an invoice and payable by BACS or Cheque. This Workshop is very popular and fills up fast! New dates will be added when available. Your email address will be added to an 'early warning' list for new dates to keep you informed. If you would rather not receive notifications of new dates for my workshops and tours, then please express this in your message. Thank You. Just wanted to thank you both for an exceptional overnight photography workshop. I was blown away by the whole experience. Cannot believe I did it but I have the photos to prove it! Still processing away but absolutely delighted with the selection I have. I so much enjoyed last night workshop. It was a wonderful experience and I really appreciated all the help and advice especially with compositing some of the locations. We got so much into the one night.. Hopefully we may meet up again in the future. Thank you both for your thoughtful tuition on what was a most enjoyable night. It was a huge learning curve for me. I made so many mistakes but feel I know my camera a little better than I did. I just need to keep practicing, which is always my challenge!